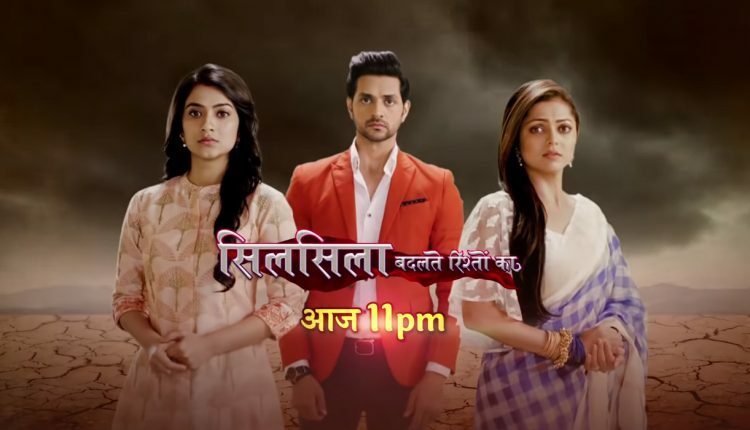 In the latest episode of Silsila Badalte Rishton Ka 19th November 2018, Mauli and Ishaan to get engaged. The update of the Tv serial Silsila Badalte Rishton Ka begins with Mauli asking the priest about to get engaged to Ishaan. She tells him that they can not wait for a month because it gets too late for us. So the priest suggests them that they can get engaged after two days. After a lot of discussions, Ishaan and Mauli both were finally decided to get engaged after two days. After finally the date Ishaan was very happy. He thinks that now there are so many works that should be done within two days. Mishti gets soo excited after learning the news of Ishaan and Mauli’s engagement and she decided to share the news with Pari. She calls to Pari but as the latter is busy getting the bath, Kunal picks up the phone and he requests Mishti to tell it to him. As Mishti is about Ishaan and Muali’s engagement, Mauli comes and she stops to her. Mauli tolds to Mishti that it is their personal matter and that she stops her. Mauli told to Mishti that it is their personal matter and she should not let outsiders about it otherwise they can ruin their happiness. Mishit argues with her that Pari is her best friend but she would never understand it as she does not have a friend. Mauli gets the heart and recalls to Nandini memories. To listen all this Mauli gets soo sad. Pari comes that out of the bathroom and asks Kunal that why he disconnected the call. He makes an excuse of weak signal. He told to her that there is the network issue that’s why the call was the disconnect. There Mishti gets annoyed with Mauli tells that Kunal thinks that they are married and Mishti is their daughter and she does not want him to learn the truth. Precap: In the temple, the chunri Flies off Mauli’s head and fell on Nandini’s photo. Mauli goes to get her chunri back, realizes that it was Kunal and Pari for the Havana. She pulls that the chunri off Nandini’s photo and was shocked.